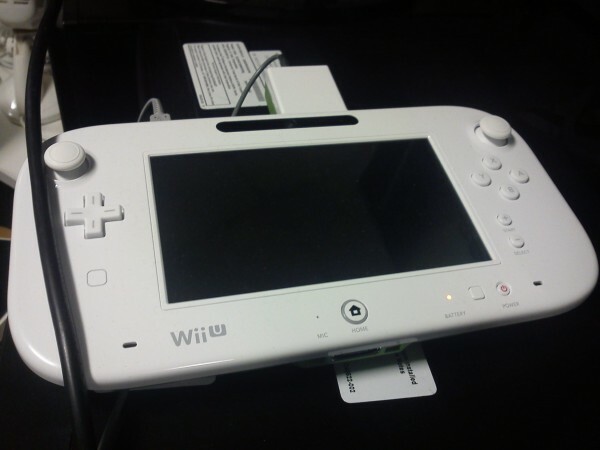 A leaked image of a newly designed Wii U controller has been released. It is unknown at the present time if the source is legitimate, but it seems to be real. Notable changes are the new analog sticks, previously analog nubs, which have been moved diagonally from the D-pad and directional buttons. Also, a slew of ports can be found the new controller design which were previously unseen or non-existent. It appears the controller can be charged, however, which can put to rest the worry of having to purchase batteries in bulk. It’s legitimate, the dev who released this photo got fired, and is going to be sued by Nintendo. Shame that a dev lost his job over this picture :/ TBH, its nintendos fault for not giving us more info to feed our demands for MORE INFORMATION. That dev got what he deserved. Thank god i wont need a bunch of batteries.The only think I dislike is the thumbsticks locations. I thought the same thing at first. The right analog and buttons are just reversed – compared with the 360 controller. But I noticed that if they were placed anywhere else, they would obstruct any reaching to the touch screen. I am more forgiving now. I just gotta remember to reach downward to press buttons lol.